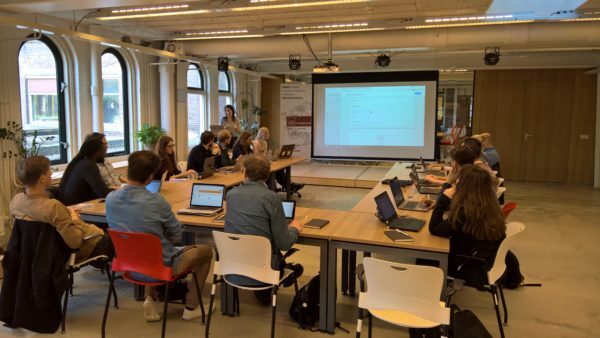 Op vrijdag 12 april organiseert MeasureCamp Amsterdam weer een workshop-dag. Ervaren experts uit het werkveld delen hun kennis en jij kunt er vanaf €80 bij zijn. Mis het niet! Zowel in de ochtend als in de middag zijn er twee workshops. De workshops zijn Engelstalig. Verbeter je CRO-proces en je optimalisatiestrategie voor nog meer optimalisatiekansen en waarde voor je bedrijf. Verdiep je in data governance, één van de belangrijkste topics anno 2019 of haal meer en betere inzichten uit je data met een 360 customer view. The A/B test. The majority of tests run on any platform are exactly that – an A/B test where a seemingly bright idea is being rubber stamped. This common practice unfortunately does not always address the real customer problem. How can we break this habit and really work on ideas that come from a Problem First Hypothesis, how can we increase our learnings by developing multiple variations and see an increase in our Stat Sig results? In this workshop you will learn how to apply the Problem Centric Hypothesis Framework in your daily workflow. Leave this workshop feeling excited about the differentiated approach and the ability to innovate faster! Audience of the workshop: Everybody with an interest in CRO is able to attend. What makes companies like Booking.com, Uber, Netflix and Amazon so successful? What can we learn from the speed in which these companies develop completely new business models? What is the importance of Experimentation within your organization? This workshop will help you identify the maturity of your own experimentation program. What are the current tests you are running today? What does your existing team structure look like? How can we get additional buy in, for example by involving product teams and executives and get your experimentation program to go broader and deeper in the organization. What new and additional use cases will this unlock and what is the potential value of these for the organization? After this workshop you will have an understanding of what Experimentation Driven Product Development is and what a supporting team structure looks like. Who is running the workshops? The workshops will be run by Martijn Beijk, Director, Solutions Engineering at Optimizely. Martijn leads a team of solutions engineers across multiple offices in the EMEA region. In today’s digital analytics (event data management) world, terms like Client-Side vs Server-Side data management, data governance, privacy compliance, clean and structured data are major industry buzzwords, but what do they mean? And how can they be implemented? What are the technical and organizational implications? What are differences between client-side versus server-side data management? And what are the pros and cons of each? What are the data quality, governance, and compliance requirements that technology and organizations must meet? ITP 2.1 what it it, and what are its implications? In todays online marketing world, terms like ‘single customer view’ or ‘360 degree customer view’ are very common terms. They do great in marketing talks, but what does it actually mean? And how can you start with it? How do they fit in with other tools you might already have an duse? The workshops will be run by Omar Bendjaballah, a experienced Senior Solutions Consultant at Tealium with a demonstrated history of working in the internet industry. Had a great workshop. Maybe some small practical things could have been arranged a bit better, like more powerpoints for the participants, but overall a great workshop. Leuke training. Veel hands on tips. The content of the workshop was awesome. The trainer kept it very flexible so it was adjusted to the audience. It was in fact a custom workshop and everything was explained well and he showed how to do it and how to set it up. Learned a lot. Het was veel maar super tof. En goed gebracht. Het zijn 3 uur durende workshops in het Amsterdam Art Center te Amsterdam. De ochtendsessies zijn van 10 tot 13 uur. De middagsessies zijn van 14 tot 17 uur. Als je voor 2 workshops gaat staat er lekkere lunch voor je klaar. 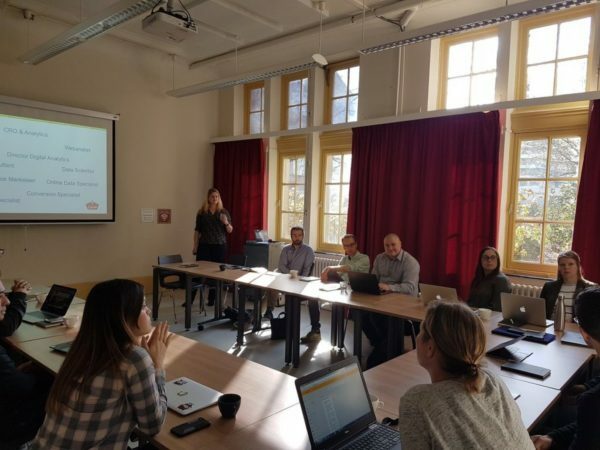 Deze workshops zijn door een geweldige samenwerking tussen MeasureCamp en onze platinum sponsors Optimizely en Tealium ontwikkelt om iedereen in digital analytics een boost van kennis te geven. We vragen hiernaast nog een kleine bijdrage per workshop om de locatie te kunnen betalen.